What is Advanced Precision Agriculture? It is the science, and art, of farming at the micro-level in order to produce better results at the macro-level. 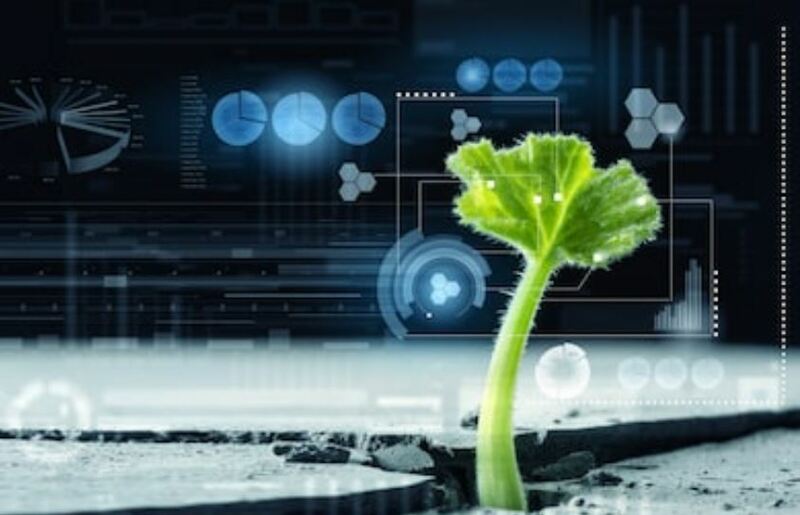 With Global Positioning Systems (GPS) and Internet of Things (IoT) sensors, it is possible to accurately manage agriculture down to the square meter, square foot and even in some cases an individual plant. Wireless sensors coupled with the ability to locate a precise, specific position in a field allows for map creation of as many variables as can be measured (e.g., sunlight, temperature, moisture level, nutrient level, nitrogen levels, pH/acidity, etc.). Topographical and terrain features can be either created or purchased, as well as satellite imagery for an agricultural area. This data can be overlaid with crop yields or any other results data to measure, and control for, success (in whatever form that may be). This is a very rich and fertile topic, with a large number of authors going into various aspects of Advanced Precision Agriculture, and the technology which makes it possible. Below you’ll find our list of the best 9 books which explore Precision Agriculture in their own unique ways, including an entertaining first person account (we’ve saved that one until last). The “how-to” guide for a new generation of farmers from the author of Farm City and a leading urban garden educator. In this indispensable guide, Farm City author Novella Carpenter and Willow Rosenthal share their experience as successful urban farmers and provide practical blueprints-complete with rich visual material-for novice and experienced growers looking to bring the principles of ethical food to the city streets. The Essential Urban Farmer guides readers from day one to market day, advising on how to find the perfect site, design a landscape, and cultivate crops. For anyone who has ever grown herbs on windowsills, or tomatoes on fire escapes, this is an invaluable volume with the potential to change our menus, our health, and our cities forever. Explores the Sustainable Development of Agriculture in Technology – Precision agriculture technology, when properly integrated into the crop production process, can greatly improve overall production and sustainability. Precision Agriculture Technology for Crop Farming focuses on the technology of site-specific crop management; detailing applications for sensing, data handling, modeling, and control. Written by experts who have contributed significantly to the development of precision agriculture technology, this book reviews its history―establishing background on the various processes and applications―describes the current status, and offers insight into the future technology of precision agriculture. Terry Brase teaches Geospatial Data Collections and Agricultural Spatial Analysis. He grew up on a diversified farm in northeast Iowa, belonging to FFA and 4-H as a youngster. Terry is developing a new two-year degree program that will provide students with a strong background in agronomics and geospatial technologies that are seriously needed in the agriculture industry. A global movement to take back our food is growing. The future of farming is in our hands—and in our cities. This book examines alternative food systems in cities around the globe that are shortening their food chains, growing food within their city limits, and taking their “food security” into their own hands. The author, an award-winning food journalist, sought out leaders in the urban-agriculture movement and visited cities successfully dealing with “food deserts.” What she found was not just a niche concern of activists but a global movement that cuts across the private and public spheres, economic classes, and cultures. This book is an exciting, fascinating chronicle of a game-changing movement, a rebellion against the industrial food behemoth, and a reclaiming of communities to grow, distribute, and eat locally. This full-color guide begins with a foundation of ecological principles and the idea that the food shed is part of a city’s urban systems network. It outlines a design process based on systems thinking and developed for a lifecycle or regenerative-based approach. It also presents strategies, tools, and guidelines that enable informed decisions on planning, designing, budgeting, constructing, maintaining, marketing, and increasing the sustainability of this re-invented city-scape. Case studies demonstrate the environmental, economic, and social value of these landscapes and reveal paths to a greener and healthier urban environment. High yields and environmental control in crop farming call for precise adaptations to local growing conditions. Treating large fields in a uniform way by high capacity machinery cannot be regarded as a sustainable method for many situations. Because differences existing within single fields must be considered. The transition from former field work carried out manually or by small implements to present-day high-capacity machinery caused that the farmers lost the immediate and close contact with soils and crops. However, modern sensing and controlling technology can make up for this deficit. High tech methods that include proximal sensing and signals from satellites can provide for controls that allow adjusting farming operations to small fractions of one ha and sometimes even down to some m2, hence in a site-specific mode. This applies to operations for soil cultivation, sowing, fertilizing and plant protection. This book deals with site-specific concepts, applications and results. These proceedings contain reviewed papers presented at the 10th European Conference on Precision Agriculture, held at the Volcani Centre, Israel. The papers reflect the wide range of disciplines that impinge on precision agriculture – technology, crop science, soil science, agronomy, information technology, decision support, remote sensing and others. The broad range of research topics reported will be a valuable resource for researchers, advisors, teachers and professionals in agriculture long after the conference has finished. The Handbook of Precision Agriculture presents up-to-date research, field studies, and practical applications from around the world to help agricultural scientists and farmers work together to design a farming methodology that improves productivity, profitability, and sustainability. The book offers a comprehensive guide to basic principles and technologies, crop-specific applications, integrative strategies, economic and environmental concerns, and future trends in precision agriculture in different regions of the world. An unforgettably charming memoir, full of hilarious moments, fascinating farmer’s tips, and a great deal of heart, Farm City offers a beautiful mediation on what we give up to live the way we do today. When Novella Carpenter–captivated by the idea of backyard self-sufficiency as the daughter of two back-to-the-earth hippies–moves to a ramshackle house in inner-city Oakland and discovers a weed-choked, garbage-strewn abandoned lot next door, she closes her eyes and pictures heirloom tomatoes, a beehive, and a chicken coop. What starts out as a few egg-laying chickens leads to turkeys, geese, and ducks. And not long after, along came two 300-pound pigs. And no, these charming and eccentric animals aren’t pets. Novella is raising these animals for dinner.